This sign is for Oilofine Burch Oil Company. The sign’s colors are green, black and yellow. 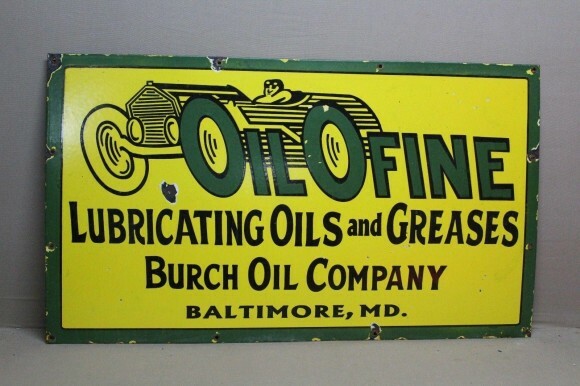 The text on the sign reads: OilOFine Lubricating Oils and greases Burch Oil Company, Baltimore, MD. The sign shows a car at the top with text overlaying.